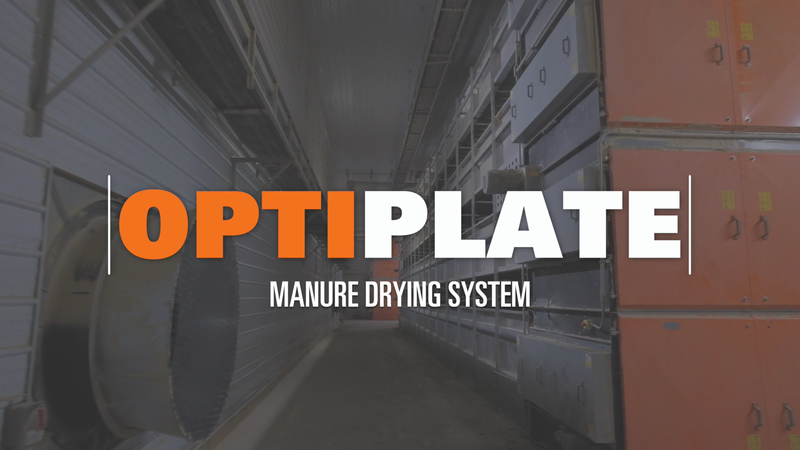 OptiPlate is a highly-efficient steel plate drying system with a compact design. 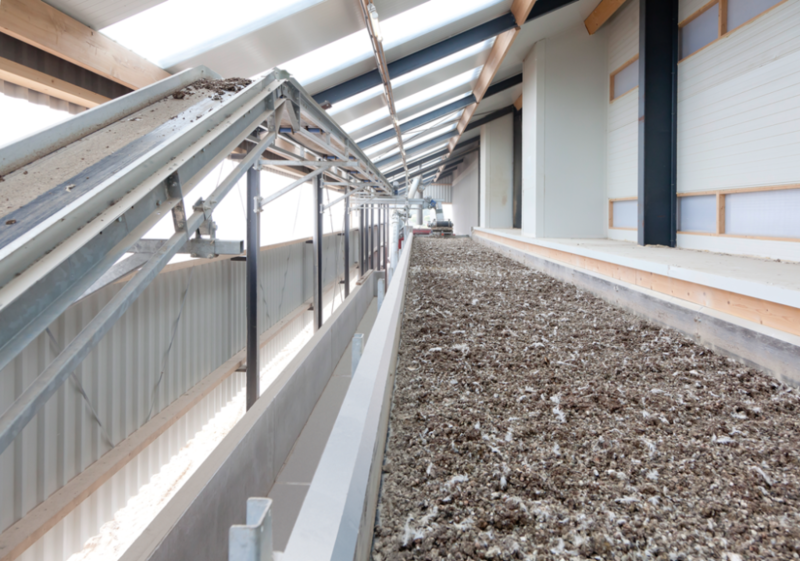 It dries fresh poultry manure originating from aviaries and cage systems to up to 90% dry matter. 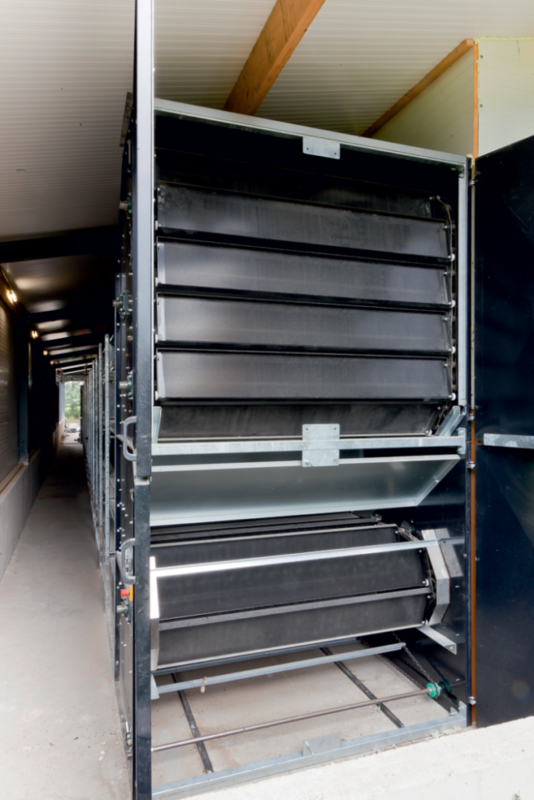 During the drying process, fans push the warm exhaust air into the pressure corridor. There, it flows through all tiers over the entire width. 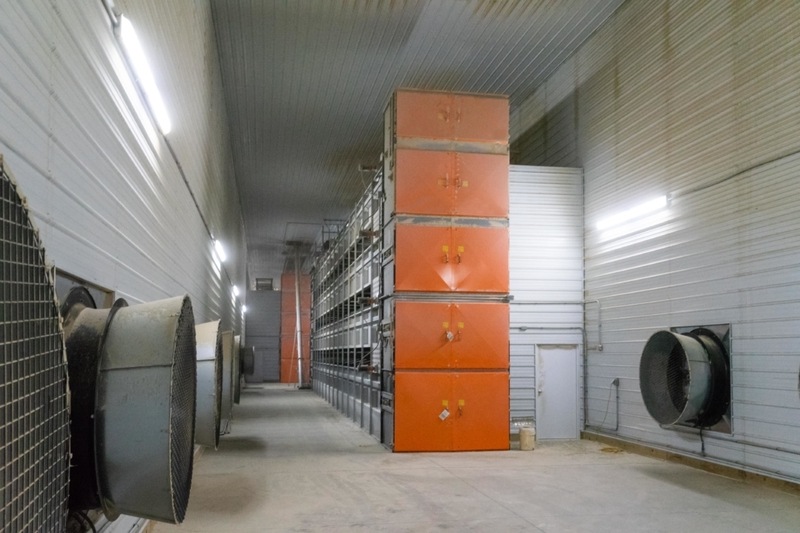 The perforated steel plates ensure that the warm air not only passes through the manure.